Be part of history as Alfie Zappacosta films and records a live album and video with the Armadillo String Quartet and featuring his full band including Silvio Pupo Montero on Keyboards, Kerry Galloway on Bass, Phil Robertson on drums, and Grammy winning Tom Keenlyside on saxophone.This will be a very special evening as Alfie performs rare tunes in addition to your favorites. 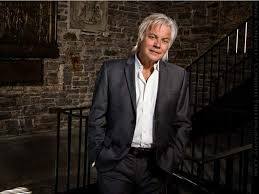 Alfie is undeniably one of Canada’s premier songwriters and performers with chart topping hits and a recording and acting career that has spanned 40 years. From his steamy signature version of “Me & Mrs. Jones”, to his American Music Award winning “Overload” from the Dirty Dancing Soundtrack, Alfie Zappacosta continually demonstrates that he is truly one of the greats. “Start Again”, “Passion”, “When I Fall in Love Again” and “Nothing Can Stand In Your Way”became staples on Canadian adult contemporary radio and Zappacosta became a personified Rock Star. Alfie penned and sang, “Overload” exclusively for the multi-platinum soundtrack “Dirty Dancing” and Loverboy would record Zappacosta’s “That’s Where The Money Goes” for their Wildside album. In 1988, he was awarded JUNOs for “Album of The Year’ and “Most Promising Artist”, an American Music Award for “Most Popular Album of The Year” and named the Canadian Publishers Music Association’s “Best Rock Star”.